Exciting multi-sport & movement class designed to teach the FUNDAMENTALS of athletic development. This is the perfect age-group to begin developing core motor skills with an introduction to basic, sport-specific movements and skills. Each class will introduce age-appropriate games & activities to develop core skills such as shooting, passing, hitting, kicking, throwing, catching and more. 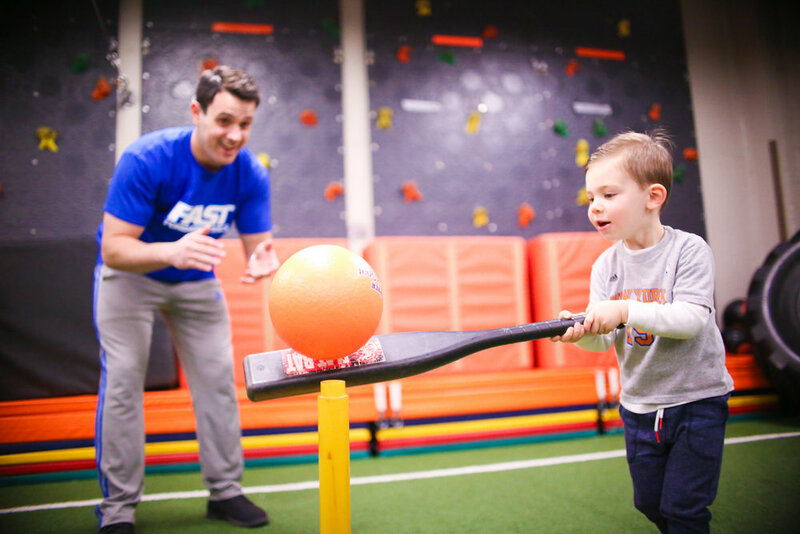 Coaches incorporate a variety of station rotations, contests, obstacle courses and music into each class to keep your little ones moving and having FUN! *3 - 4 Year Old classes are designed to be "drop-off" - Parents are more than welcome to stay right outside in our waiting room where they can watch the action live on our TV.